YOURS CHLOE: Nails | Barry M "Ballerina"
Nails | Barry M "Ballerina"
"Ballerina" is a truly stunning dusty rose shade that's perfect if you're after something that moves away from your traditional pale pink colours yet still holds the beautiful femininity that can be seen to come with pink nails. To achieve this look I used this shade with the Maybelline Dr Rescue Nail Care CC Base Coat and the Barry M Top Coat. You can't really go wrong with this brand can you? 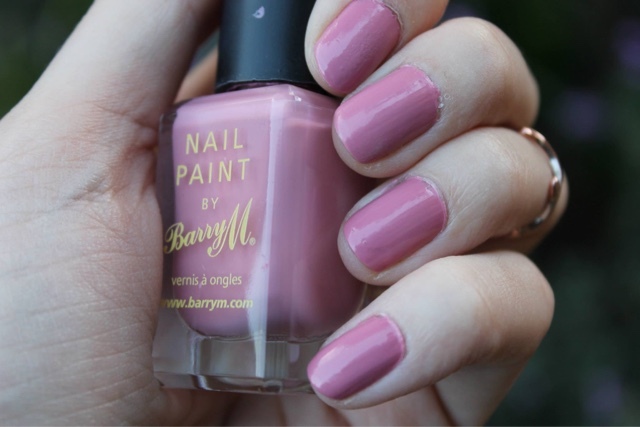 Anything from the nail gods at Barry M is guaranteed to tick every box a beauty lover can throw at them. They're particularly handy at offering a budget-friendly dupe of the best high-end shades. Hands up who wants a manicure that lasts for days? Or a colour that's perfect for every occasion? Don't you worry your pretty little head, Barry M have your back. Aside from the 'Speedy' Quick Dry range incident (I'll save that story for a later date), I've never had even the slightest bit of an issue with their products and not only that, beauty with compassion (aka. cruelty free) is right at the very core of their company so it's fair to say that Barry M hold a very special place in my heart. 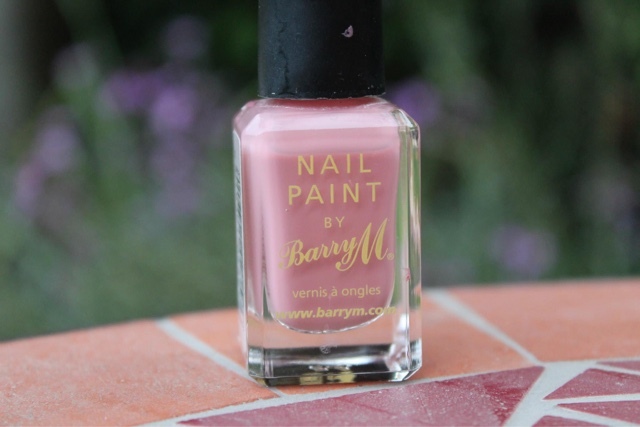 As with all of the Barry M original nail paint collection, the formula is a dream to work with. It applies really smoothly - although thin coats does work best to avoid unnecessary mess down the sides of your nails - and two coats is enough to achieve optimum opacity. Although this has a beautiful gloss finish, I'm dying to try this shade with a matte top coat (the OPI one is on my mind but I may need a helping hand on choosing which one to nab); I'm sure it'll just look stunning. I always find matte topcoats to do a wonderful job of toughing up those particularly girly shades and this is particularly handy now that we're moving into the winter months. 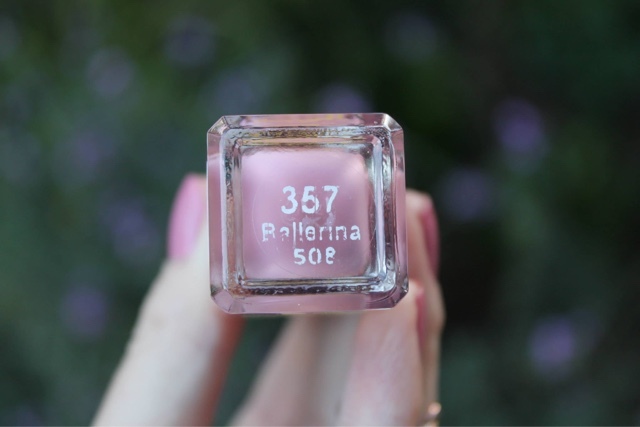 "Ballerina" is priced at £2.99 and available online at Boots here (or here if you're more of a Superdrug fan). Love this colour Chloe - I picked up a similar shade from H&M the other day and love it, it goes with everything!